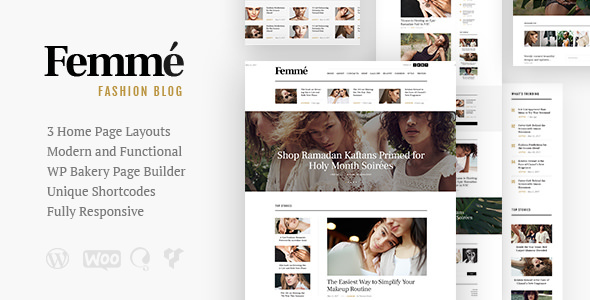 Femme is a beautiful and stylish Fashion Blog WordPress theme. It is crafted for aesthetic lifestyle magazine, online fashion, fashion blogger, fashion editor, style trends blog. Also it fits health and beauty shop, creative lingerie designer, brand design and healthy lifestyle blog. Furthermore, it will fit women skin care, girls hair care, nail care blog and girl makeup blogs.